If you are anything like me, you've already made plans to get comfy and cozy this week while you relax and spend time with family. And maybe when you look at your comfy clothes you realize that your pajama game is not so strong. Well, I am here to help you out!!! Because if there is one thing I know, its how to be comfy in style. I've compiled a huge list of my favorite items right now. 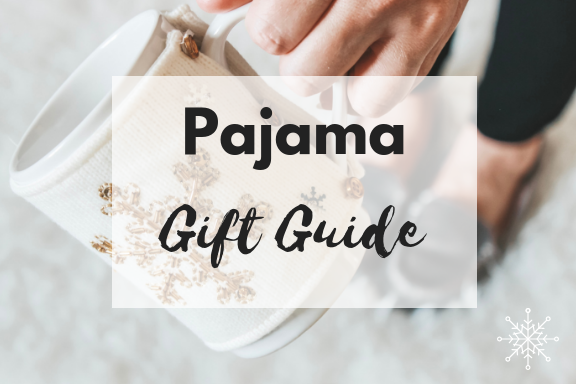 From loungewear to sleep sets to robes and slippers and even super soft throw blankets, I've got you and your shopping list covered. I even included some cute holiday coffee mugs, because nothing goes better with loungewear than a hot cup of coffee. I must tell you that the Plush-Knit Lounge Joggers you see below are a dream. They are so soft, wash really well and come in three colors. I already have them in black and I will most certainly be scooping them up in the wine color as well. In the slipper department, I bought both this pair and this pair last year and cannot decide which I love more. I'm all about blush this season, so I'll certainly be grabbing a blush pair this year too. So scroll through this list and click "add to cart." Everything you see below is super affordable; you won't break the bank with these purchases. I give you permission to go ahead and buy several things for that fab gal pal you might be shopping for. And if you see anything below that you want to add to your own Christmas list, feel free to forward this post along to anyone you like. Just call me your little pajama elf! Love the buffalo plaid pj's.